Cleopatra made her mark in the Egyptian era with her presence and today those around the world in ancient history know her. 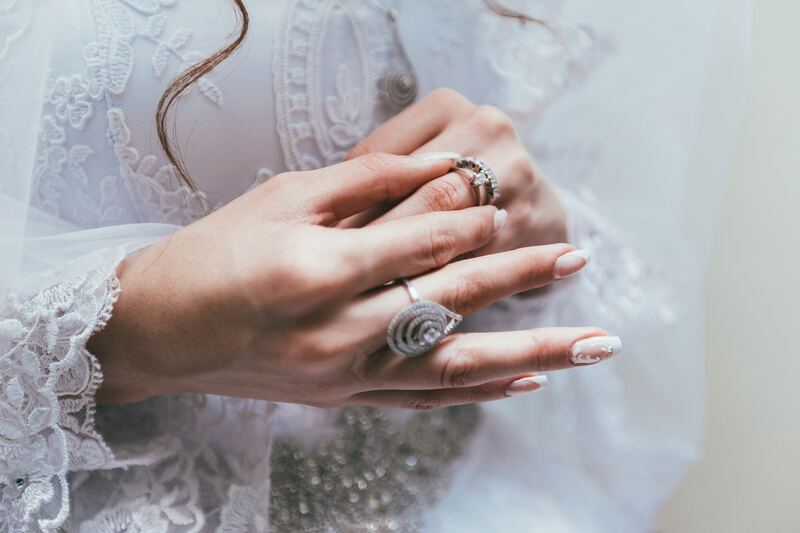 The luxe gold and diamond pieces she wore and showed off has left a mark on fashion, especially when it comes to jewelry. 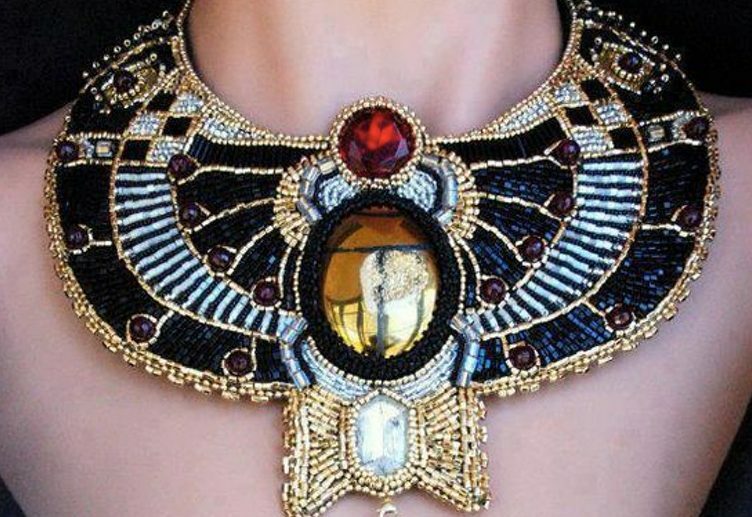 Egyptian Jewelry is not only a style statement but in ways an art piece. Extravagant metals to delicate designs, take a walk into my favorite Egyptian inspired pieces. 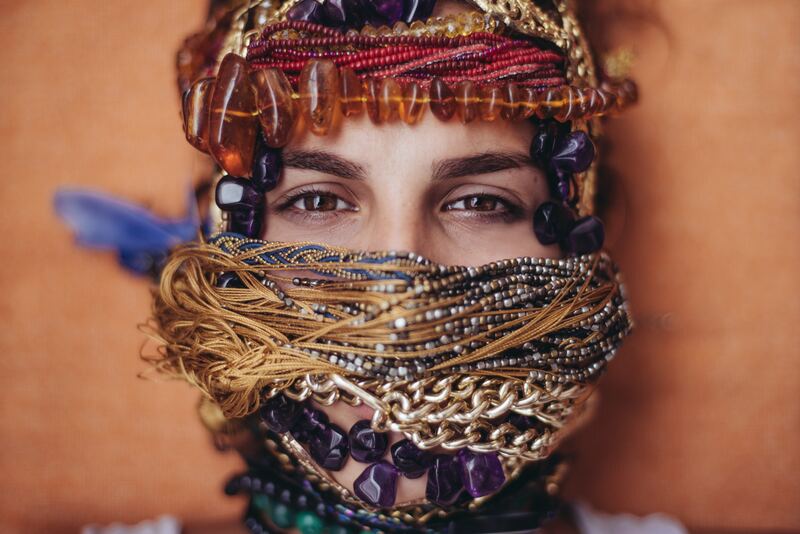 Make a huge statement with a detailed beaded necklace. 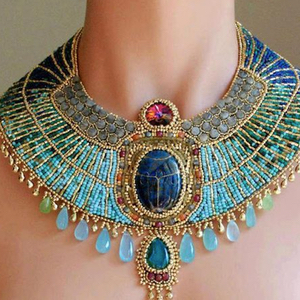 Egyptian jewelry is full of character. Turquoise is a must have when it comes to color choice. An oversized statement piece like the one pictured is perfect to turn heads. 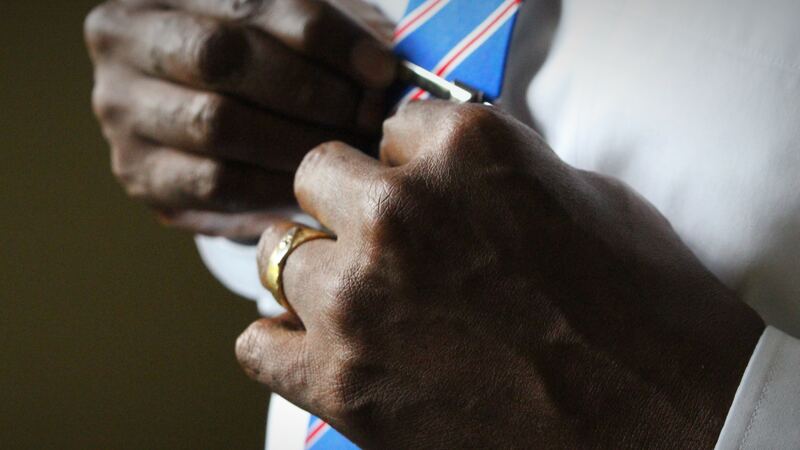 There is a variety of detailing that creates a stand out look and style. What I love most about pieces like this one are the larger beads and gems. The centered stone has a marble design to it that makes it unique. When it comes to the smaller intricate beads, the way they are lined up in different sections creates a flow to make one unifying necklace. With Cleopatra in mind, she would approve the bigger the better when it comes to necklaces. 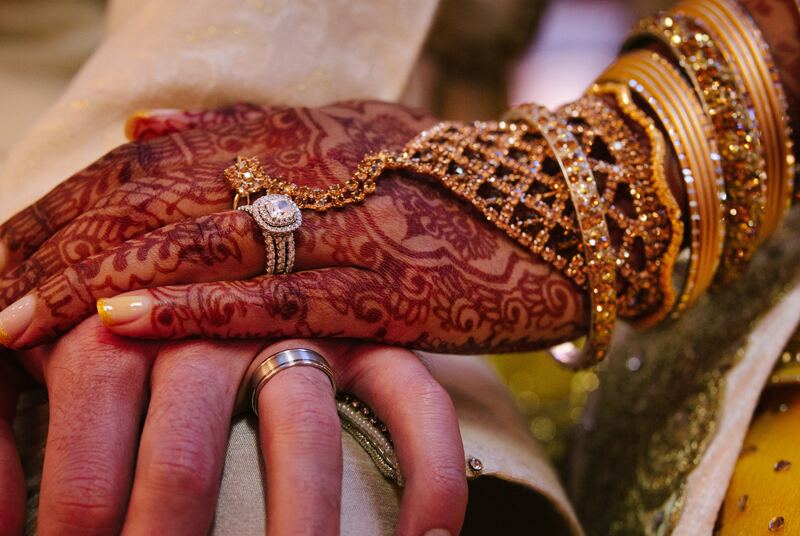 Nothing says Egyptian jewelry like an abundance of gold! The more the merrier! Anything gold from top to bottom is at the top of my list. The way this golden necklace falls from a choker into an extravagant piece caught my attention right away. It gives off the feel of finding a piece of treasure in a hidden temple. 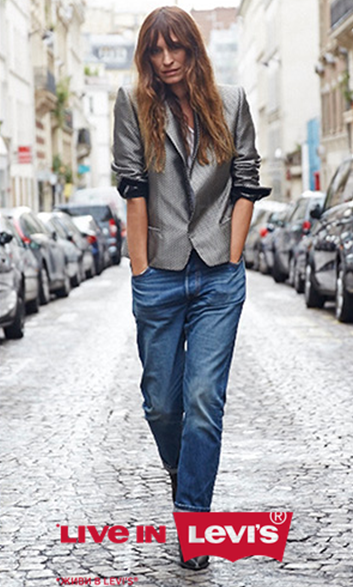 It’s elegant yet edgy and different- anyone can pull this massive look off! The single strands of linked gold charms do not look singular but look as if it is all one piece. From a red carpet dress to black tie affair, to a bohemian event with a romper, a gold statement necklace is just what you need for your special outfits. Coins have to be one of my favorite things to incorporate into a stand out jewelry piece. 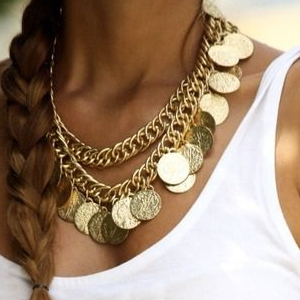 Gold coins especially remind me of Egyptian jewelry and this style is in it to win it! 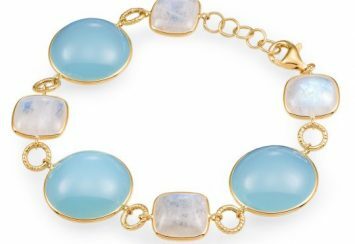 You will noticeably see coin necklaces and bracelets anywhere fashion is recognized. Music festivals like Coachella make for the perfect occasion to rock coin accessories. It gives off a boho vibe with denim shorts; crop top and booties- there are infinite ways to dress with your coin necklace. You can basically rock this look with any of your favorite festival essentials. The best part about coin necklaces is that you can find them at all your go to trendy shops. Nasty Gal to Forever 21, coins are making themselves known and I can’t get enough! 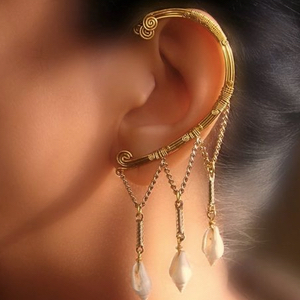 When it comes to giving your ears some golden Egyptian style, ear cuffs are the way to go. Mixing in vintage designs with an Egyptian flare, you won’t help but pull your hair back and show off gold bling. 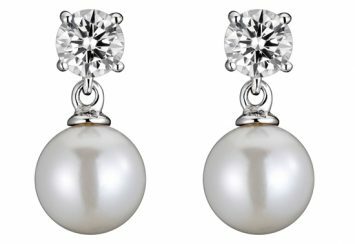 With the pictured earring design, the small details are what stand out the most. The spiral curls on each end of the ear cuff to the three dangling gems; this is how an all over gold earpiece should look like. This cuff looks like it could have been in Cleopatra’s personal jewelry box of favorite ear accessories! Speaking of ears, earrings are must haves when wanting to pull of the Egyptian look! Some Egyptian jewelry gives off an art deco feel, which makes all statement earrings stand out. 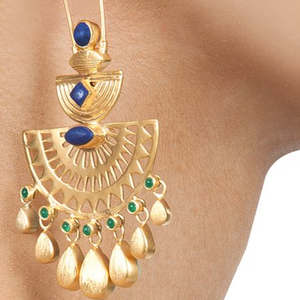 Gold detailed cutouts in multiple shapes to hints to blue and green, earrings like this provide a regal finish. My favorite part about these styled earrings is that it can be worn to show off not only the Egyptian era but also many others. From a Great Gatsby style to Khaleesi from Game of Thrones, add some gold into your upscale collection. The most intriguing designs for jewelry can come from another time and place. 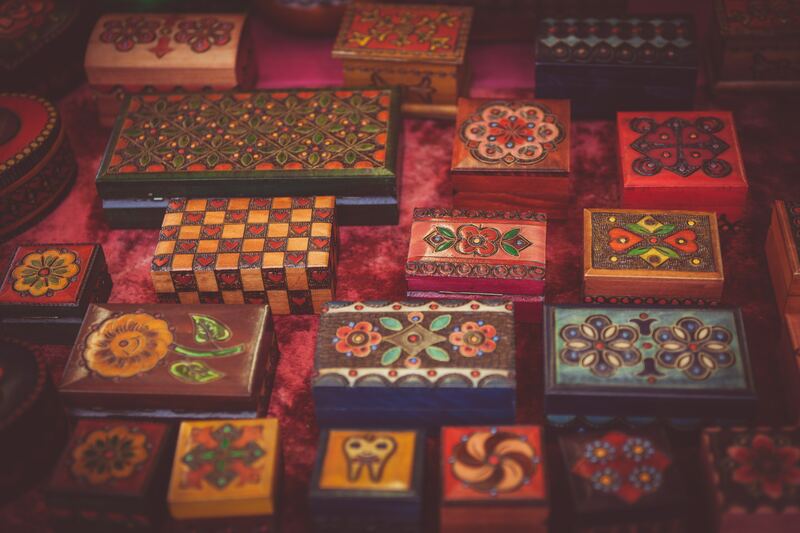 Much loved gold’s and outlandish pieces… Jump out of your comfort zone and into a different era. Egyptian jewelry is waiting for you!